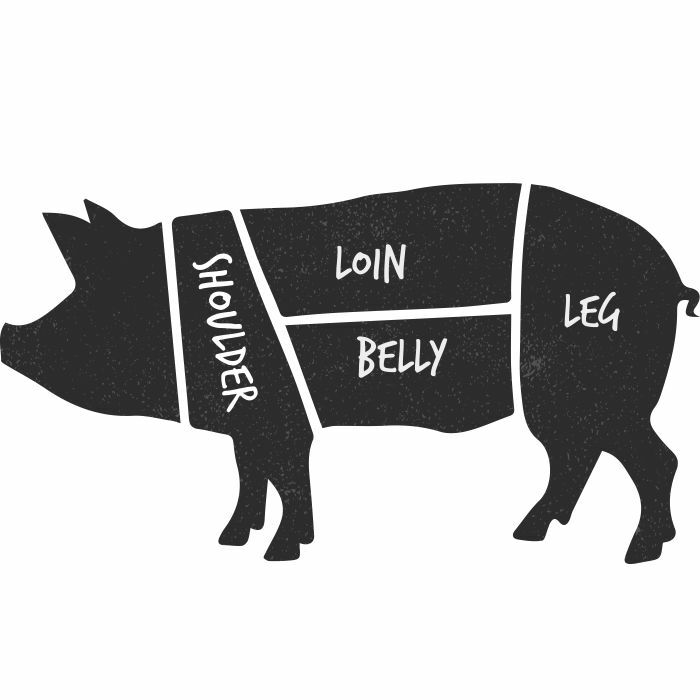 Our two 8oz gammon steaks are absolutely fantastic - fast, simple and tasty. 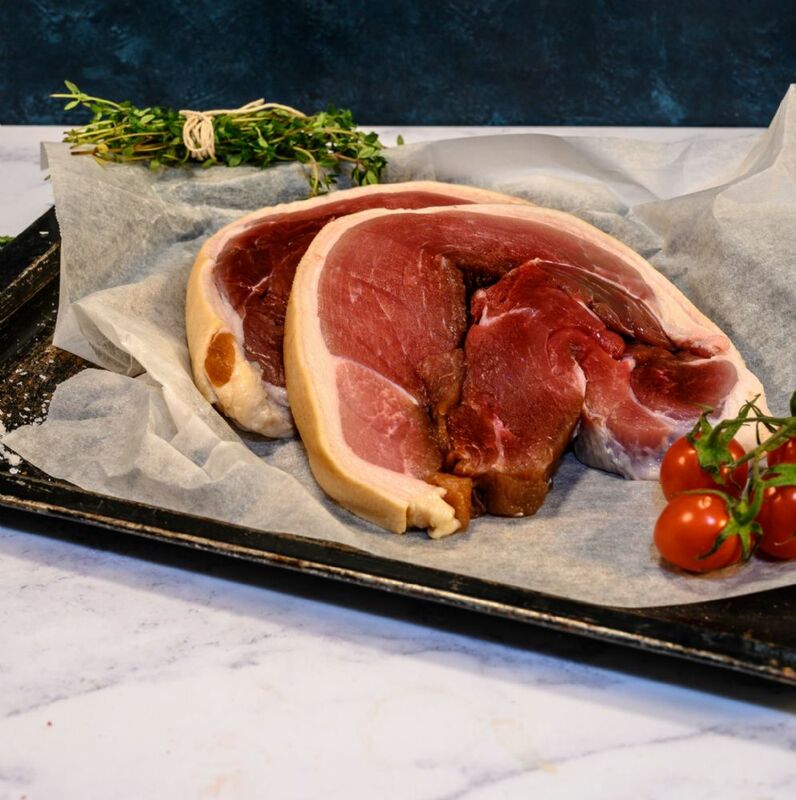 The feedback we receive from our organic pork cuts including these two 8oz gammon steaks prides us on our organic farming as well as our nitrate free curing methods. These two 8oz gammon steaks are from our rare breed Oxford Sandy and Black pigs. A great all-rounder, fantastic porkers and good baconers too, but the other reason we choose the Sandy and Black is they are a truly laid back breed. Great to work with and great when we have so many school trips around the farm, the piglets can often be seen wandering around the lower yard and car park (the little ones are able to leave the farrowing pens (maternity quarters) through small bob-holes and wander around getting into all sorts of mischief).